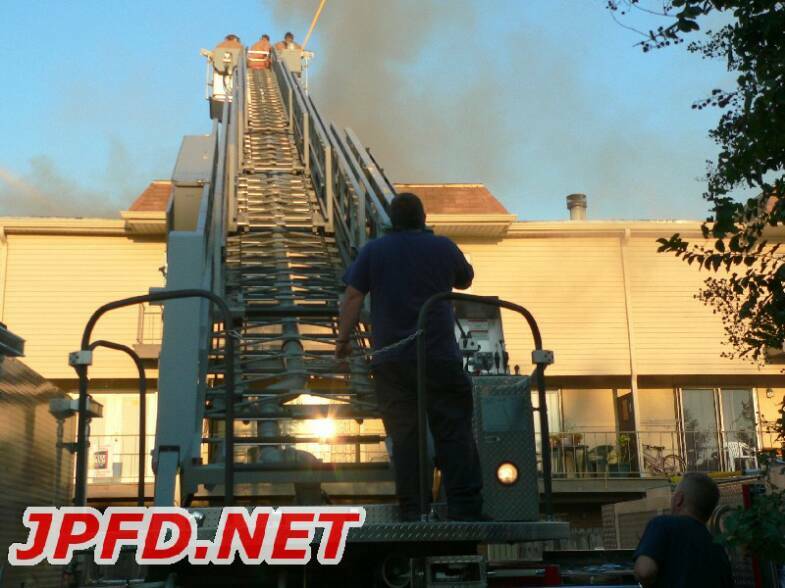 Around 4:45pm B platoon firefighters were dispatched to a reported structure fire on Whitney Place. 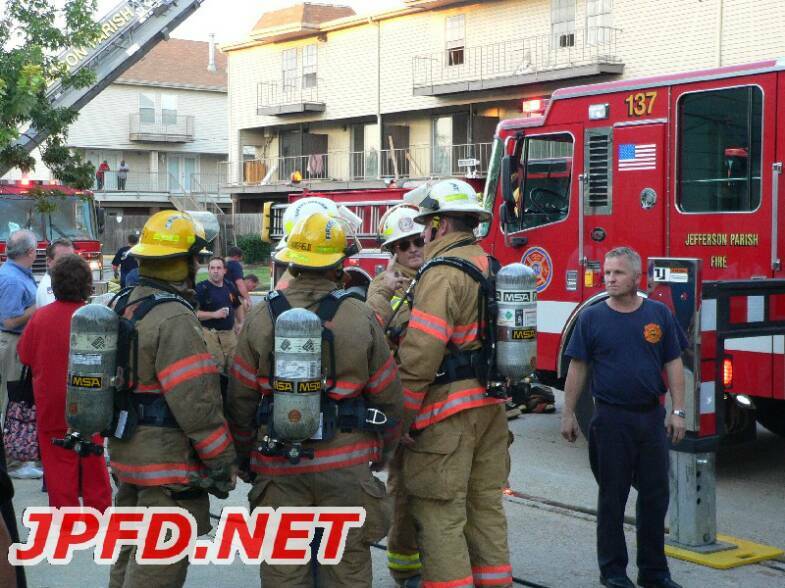 While en route to this call, another call was received for Guiffrais. 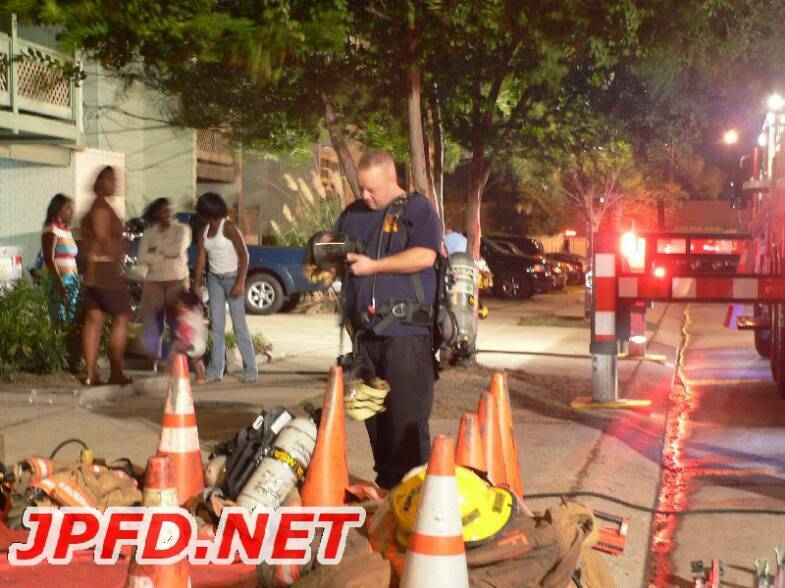 Trucks quickly determined that there was no fire on Whitney and were diverted to Guiffrais. 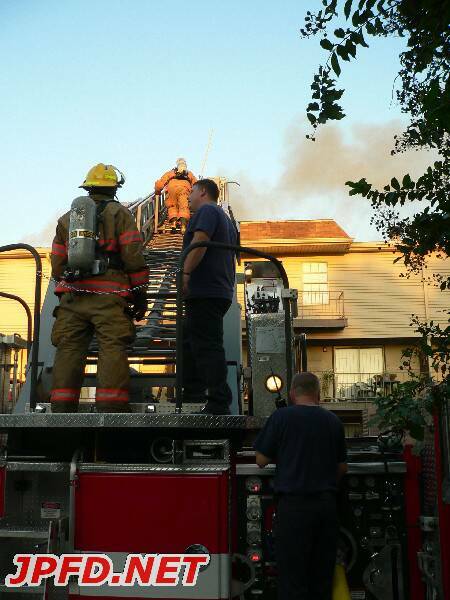 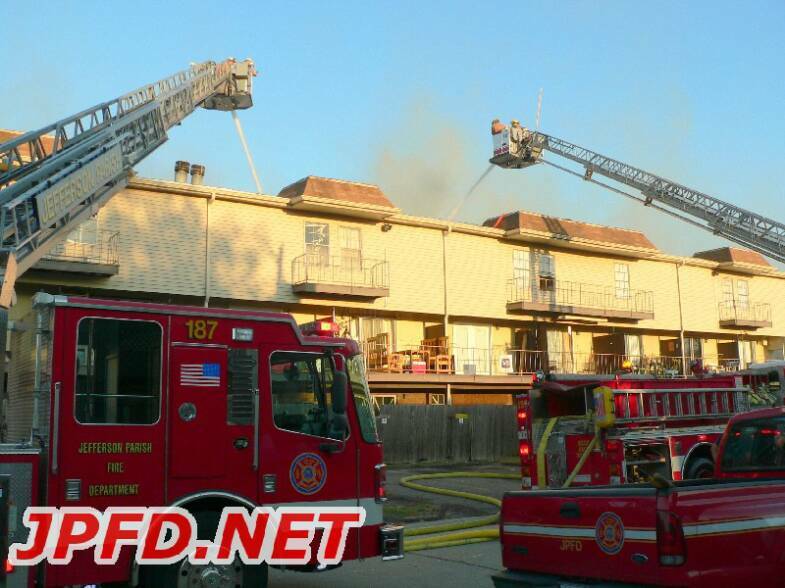 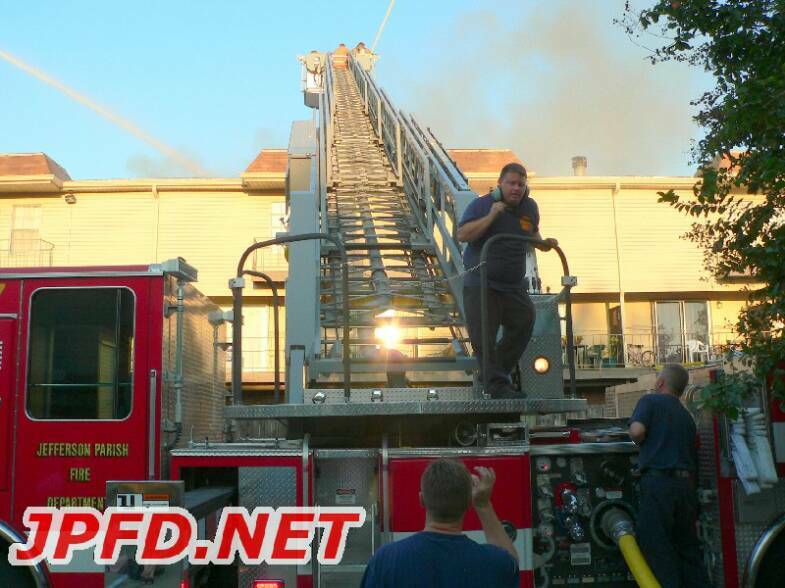 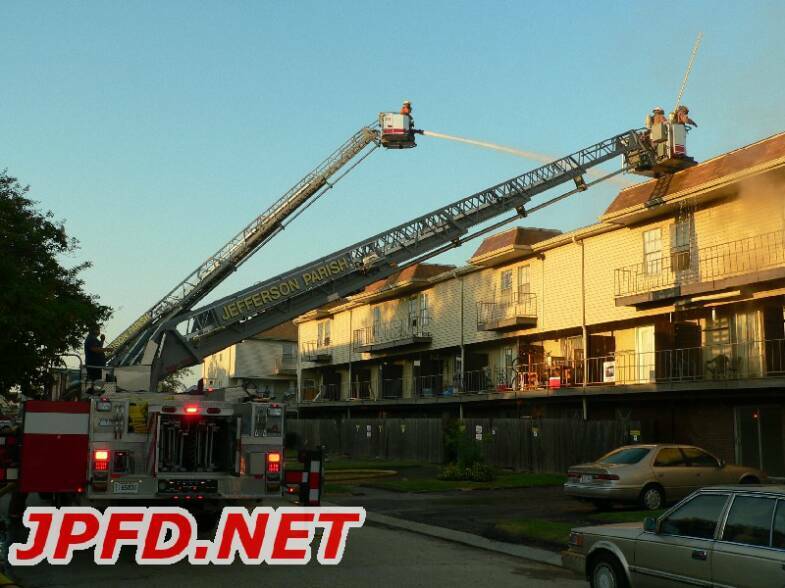 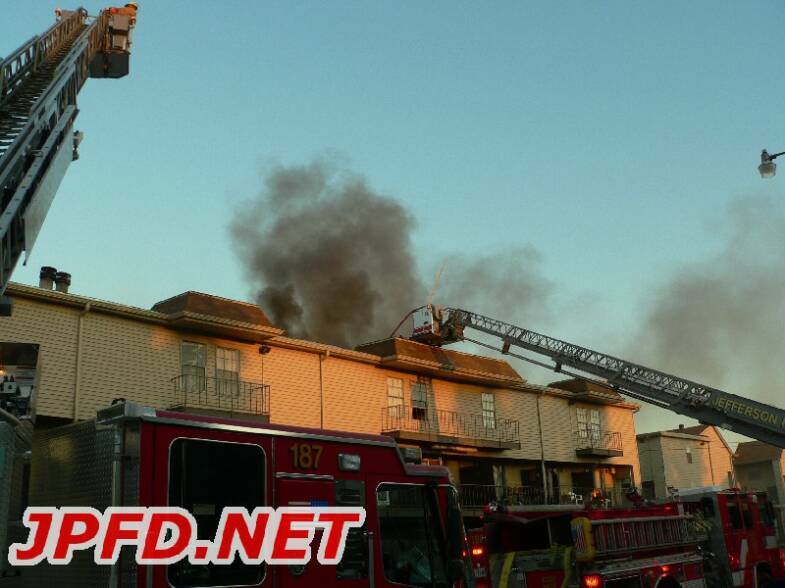 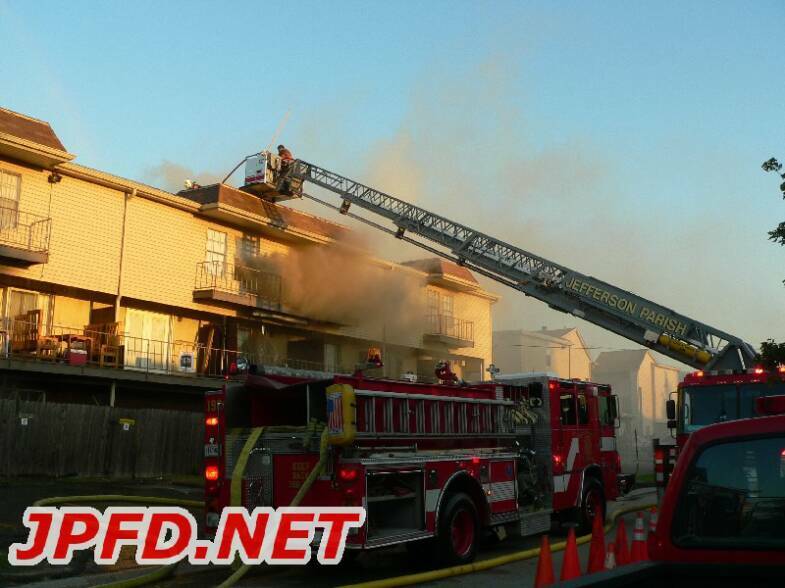 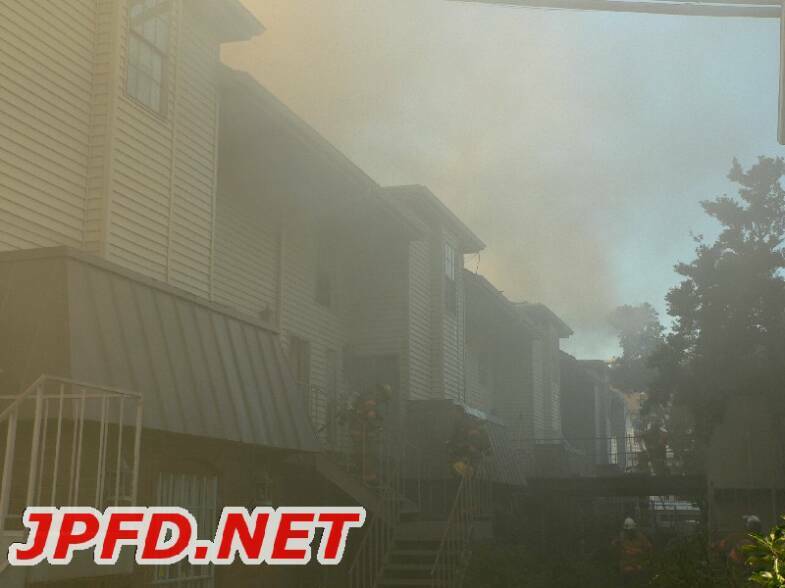 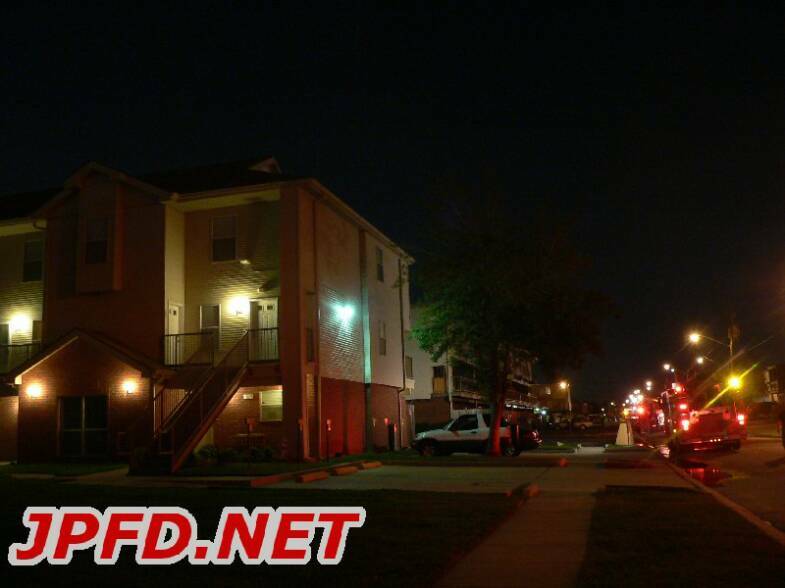 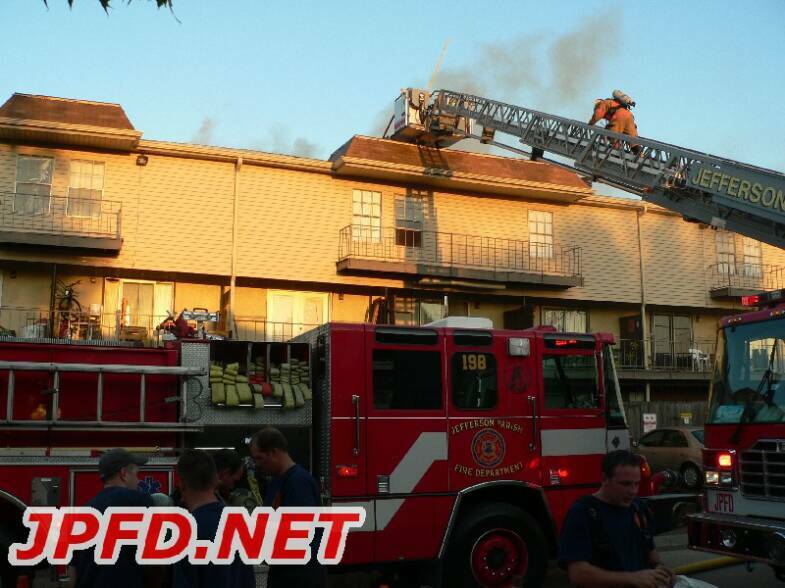 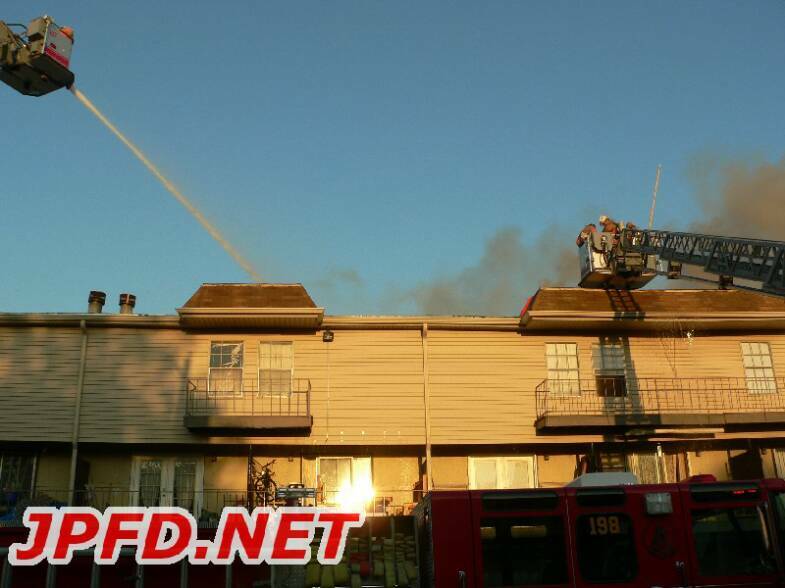 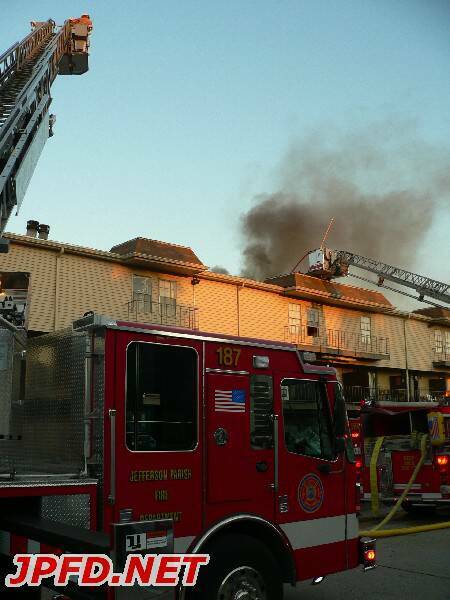 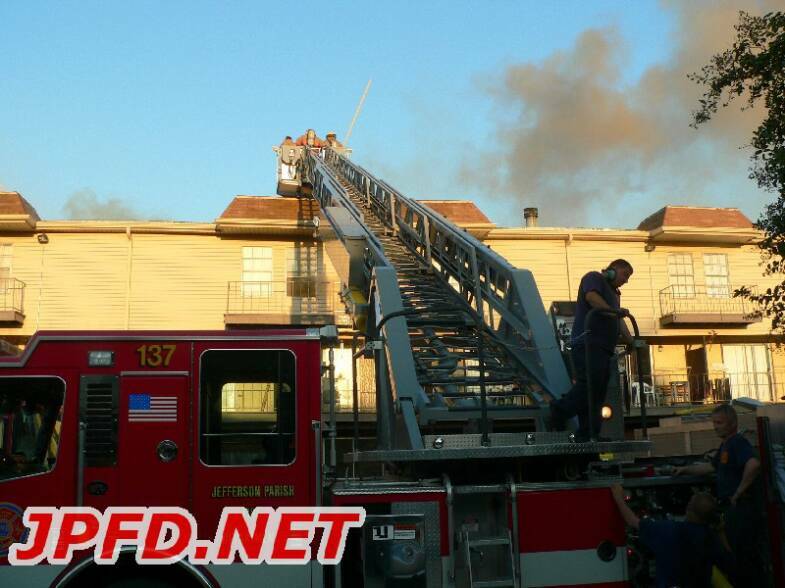 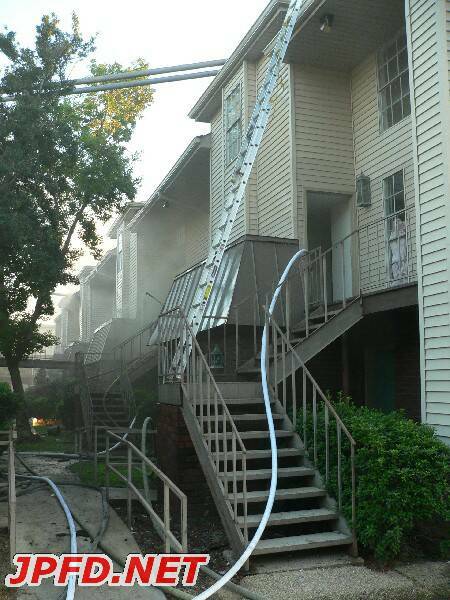 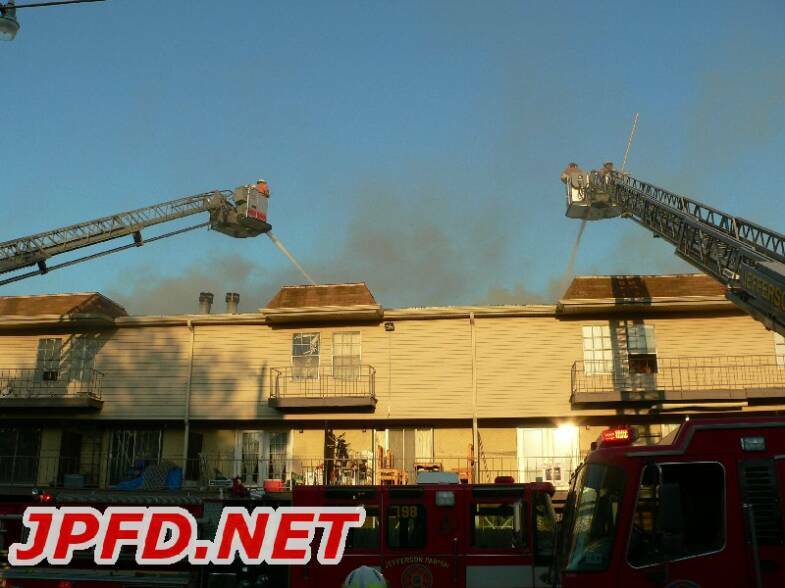 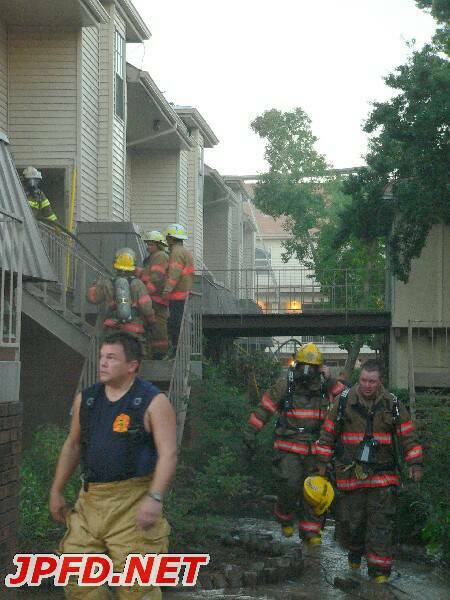 The first arriving units found a three story condominium with flames through the roof. 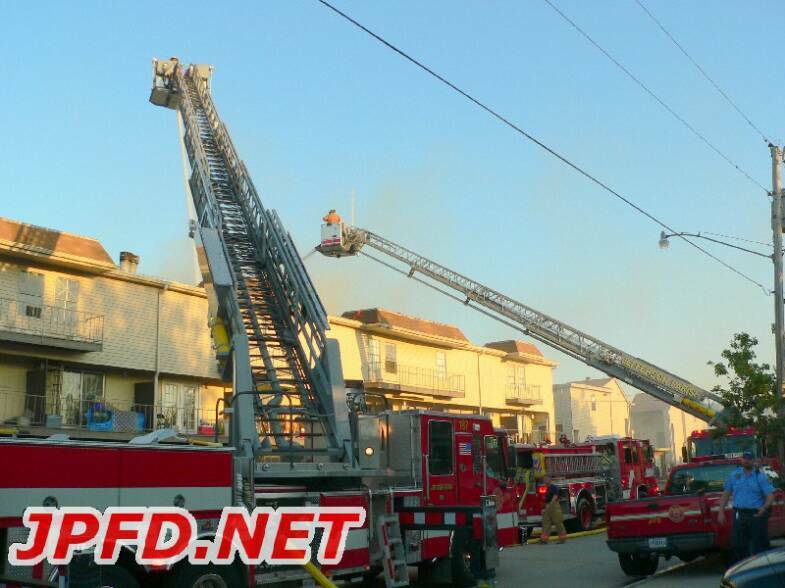 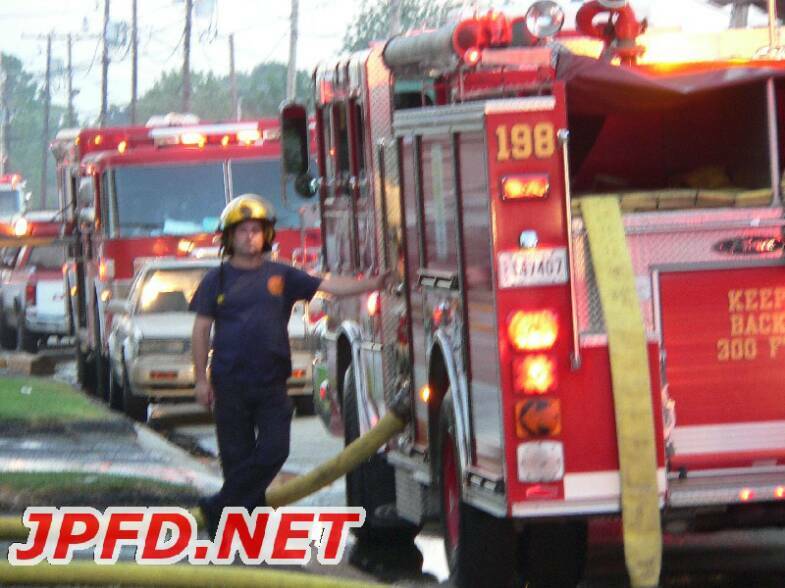 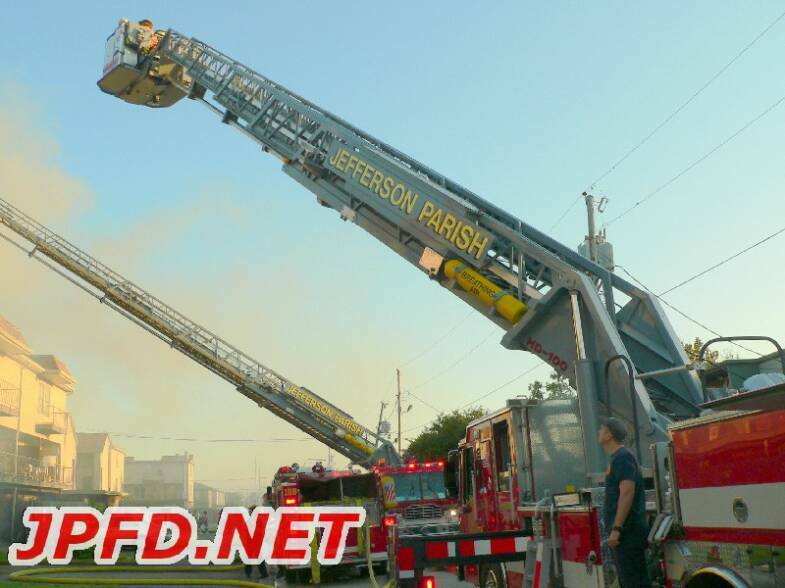 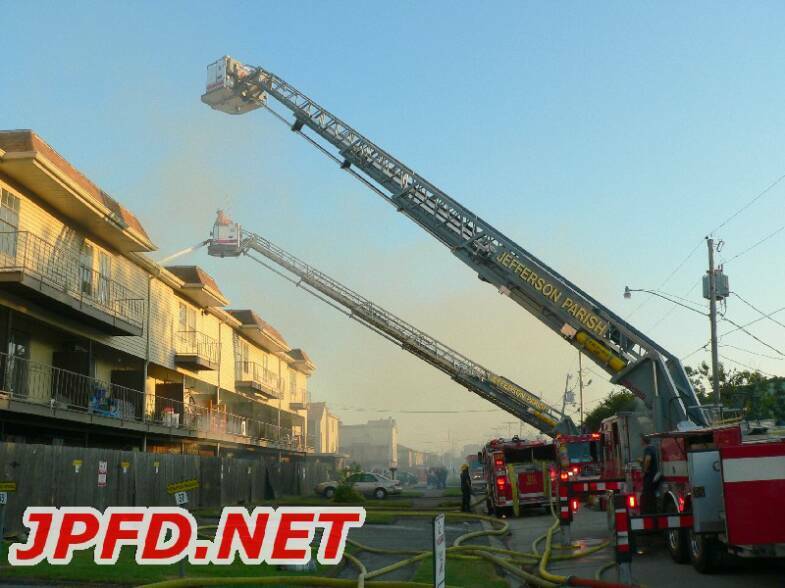 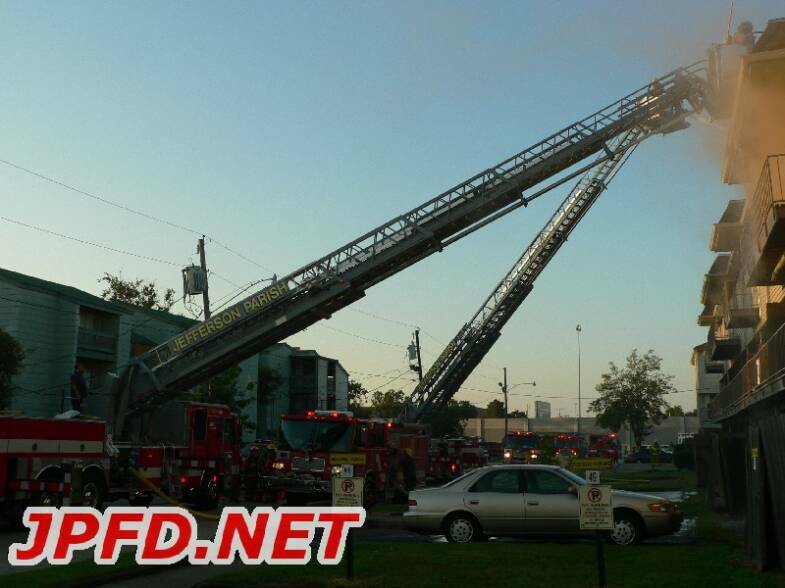 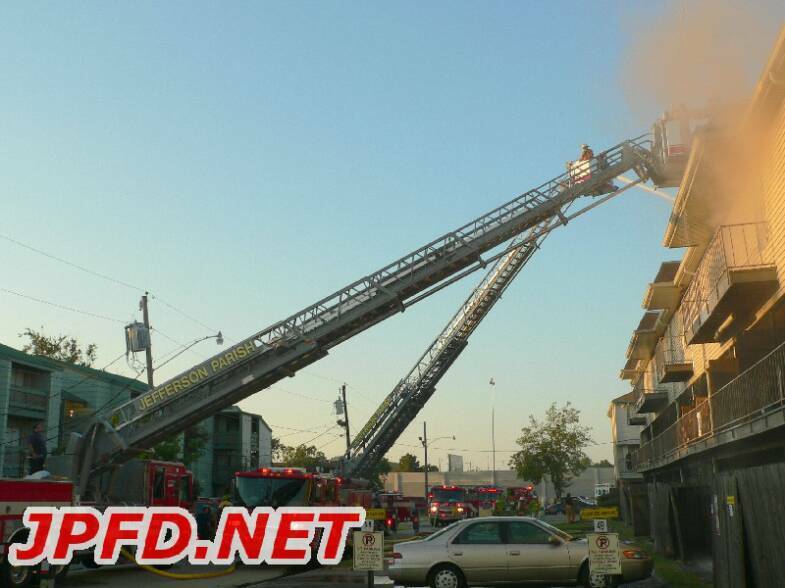 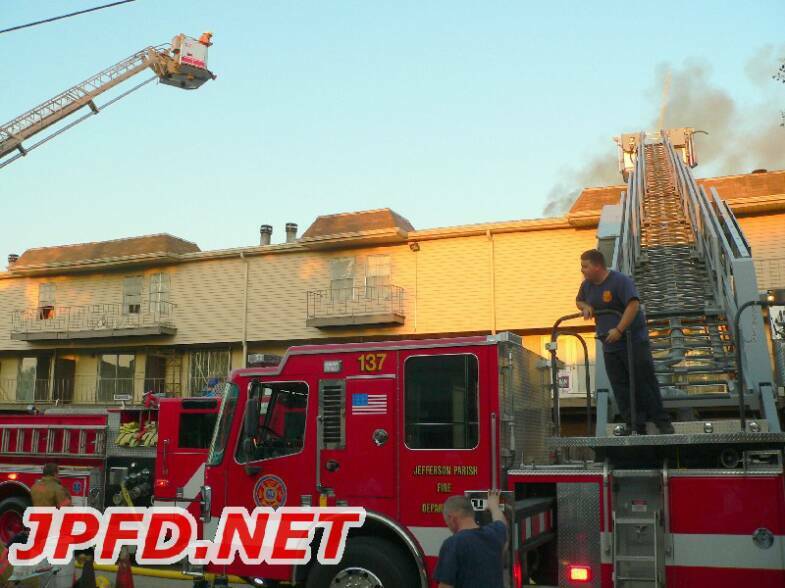 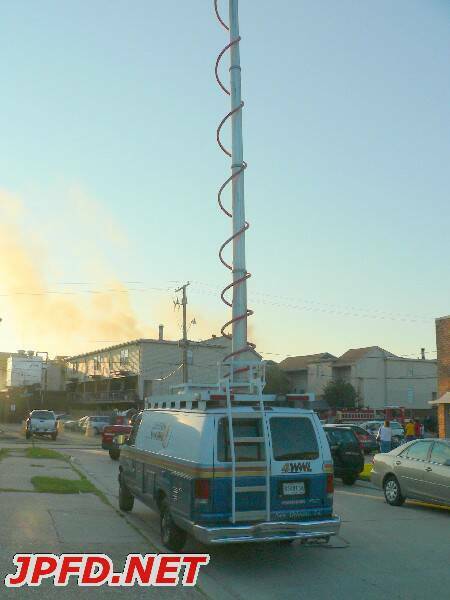 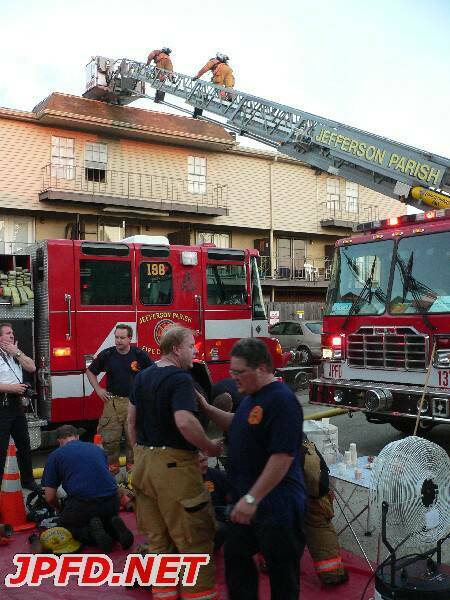 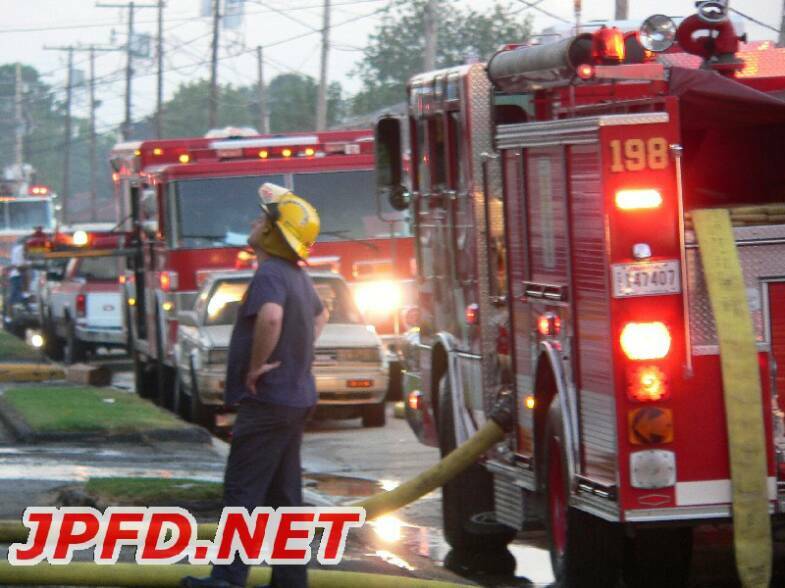 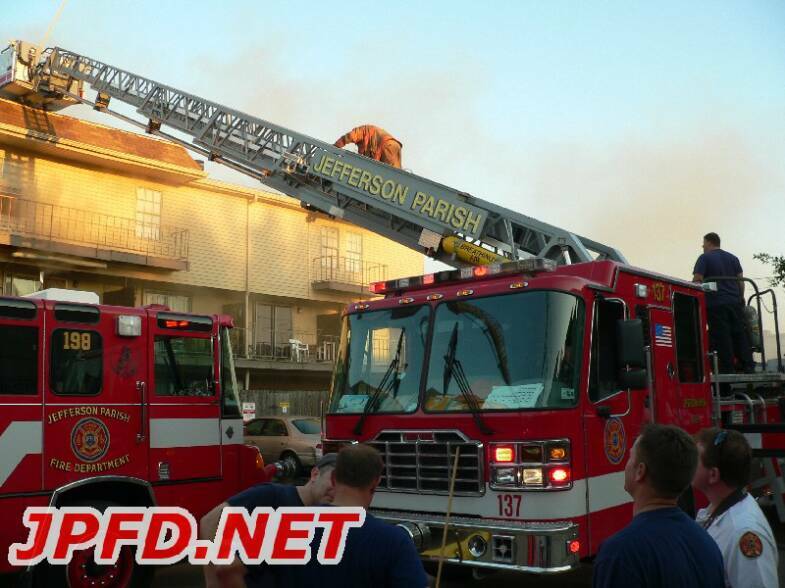 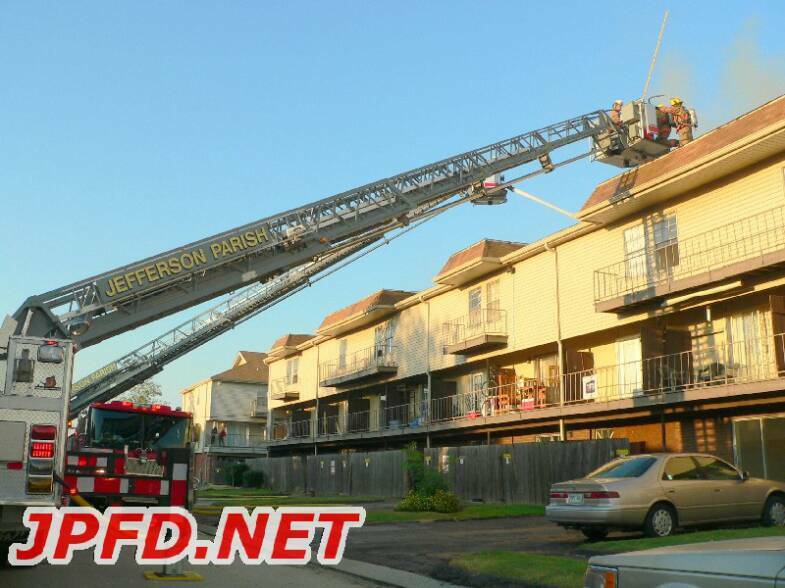 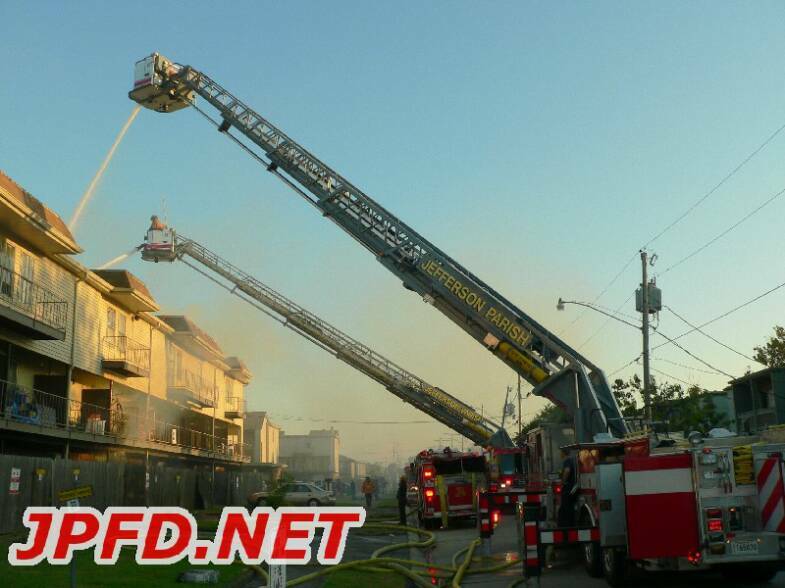 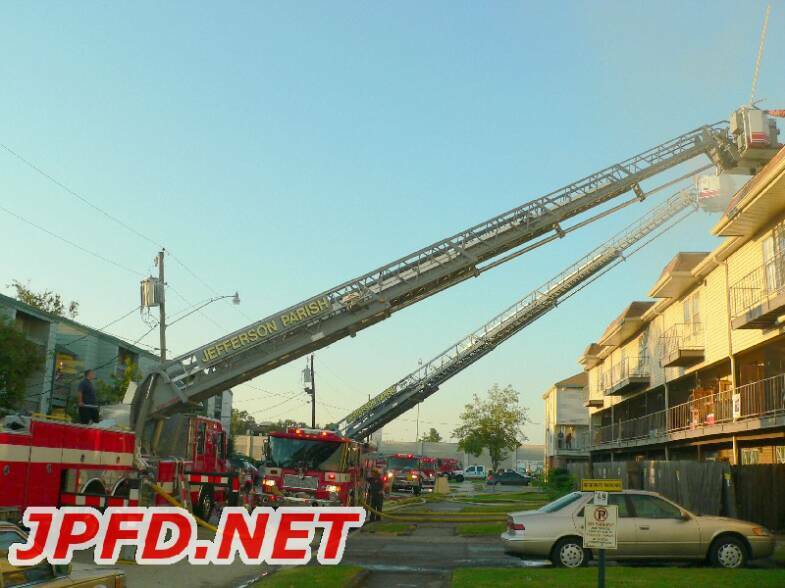 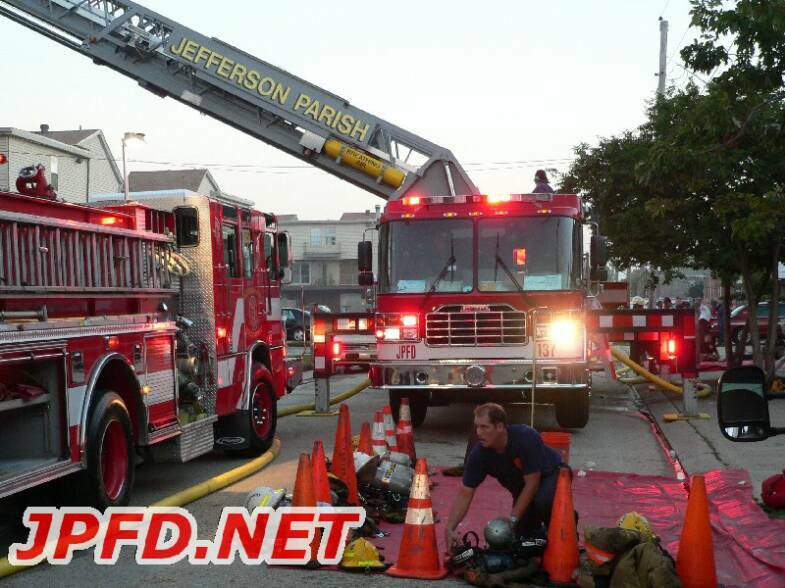 The late afternoon fire eventually escalated to 4 alarms, required two hours to place under control, and brought every front line JPFD truck and several Third District and Kenner trucks to the scene. 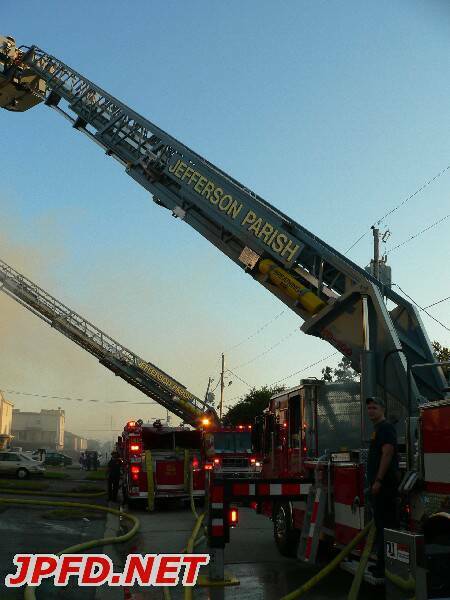 Units from New Orleans, Harahan, Third District, and Kenner covered stations and ran calls while the department fought the blaze. 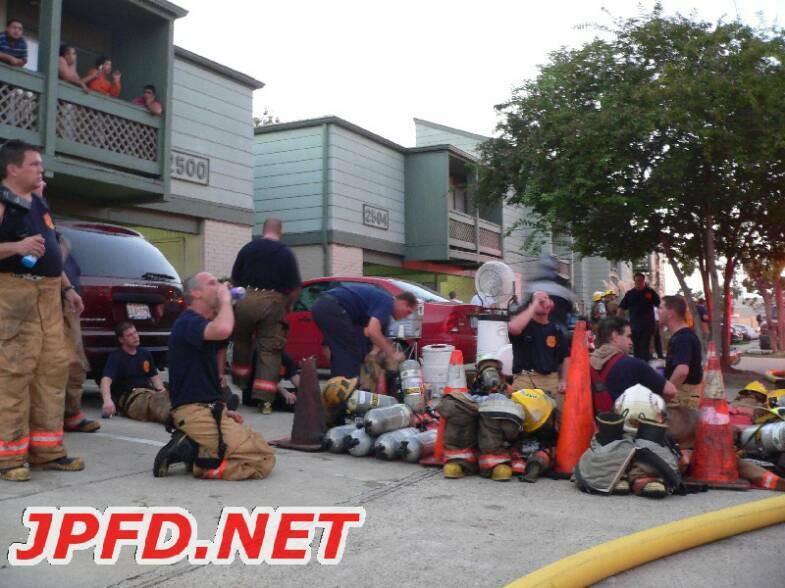 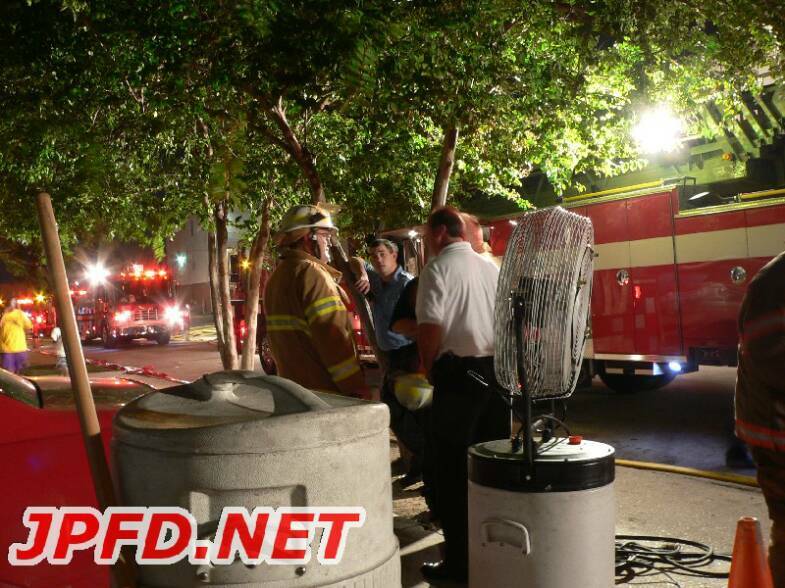 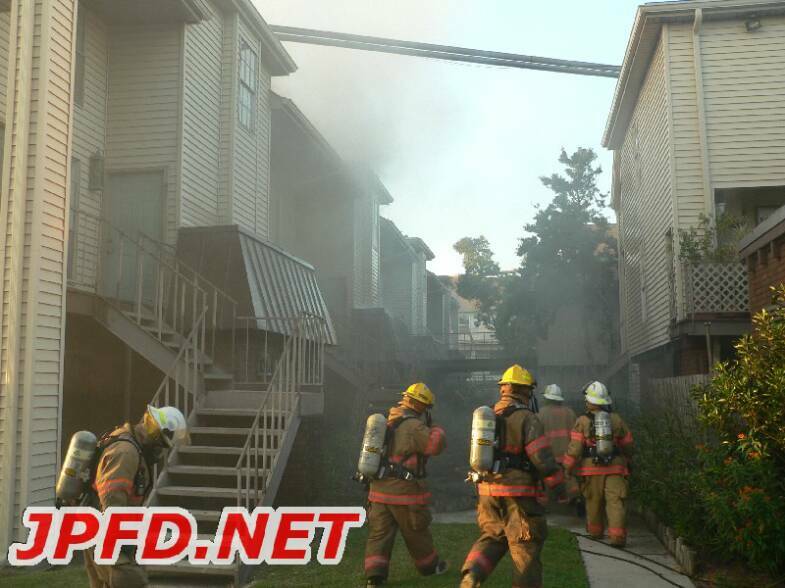 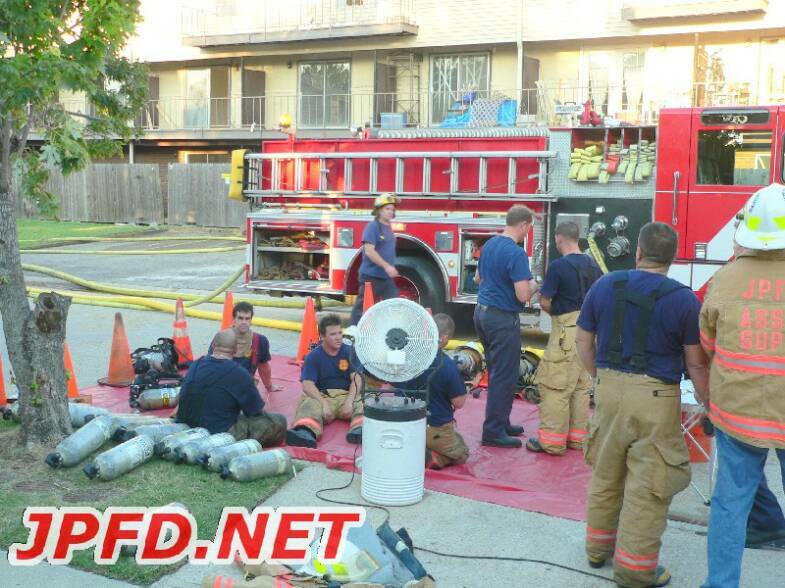 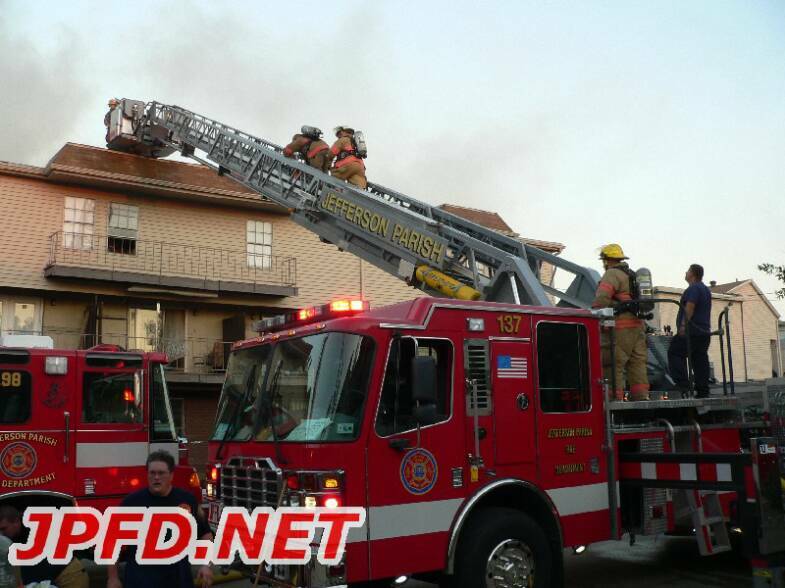 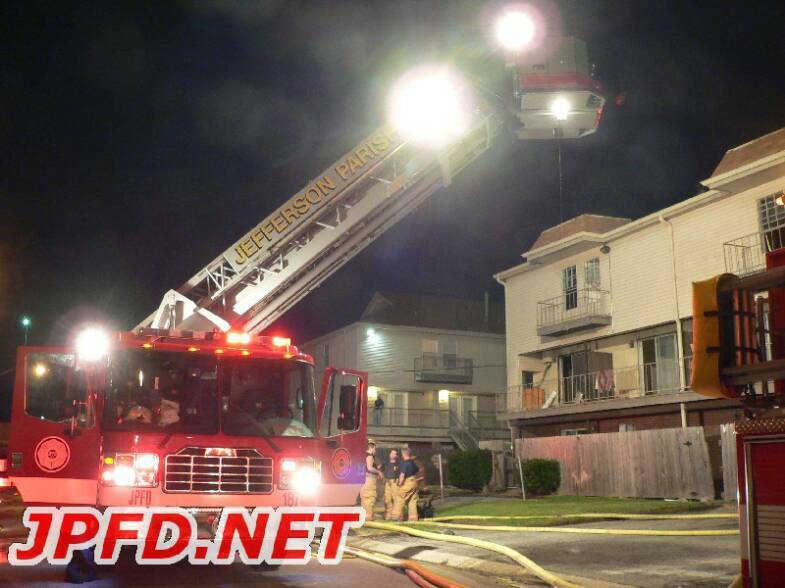 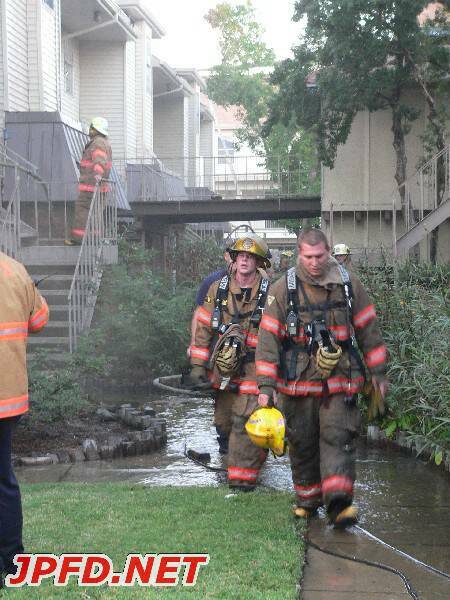 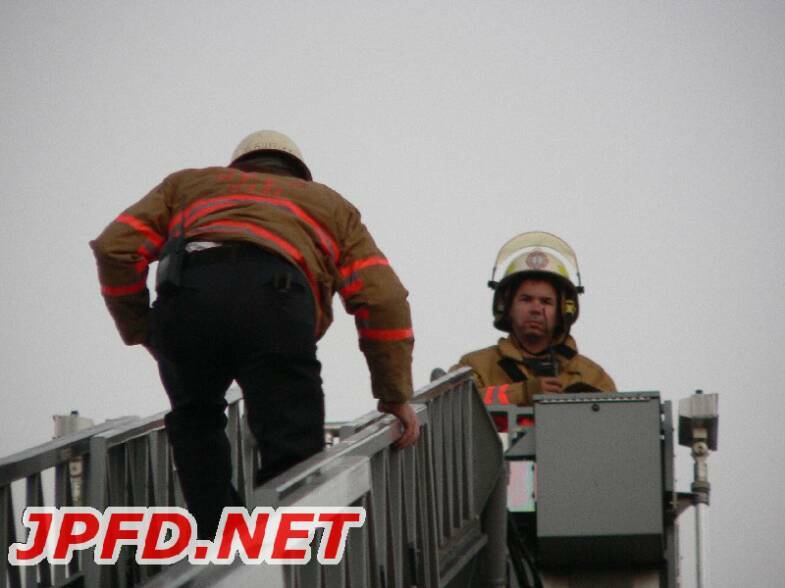 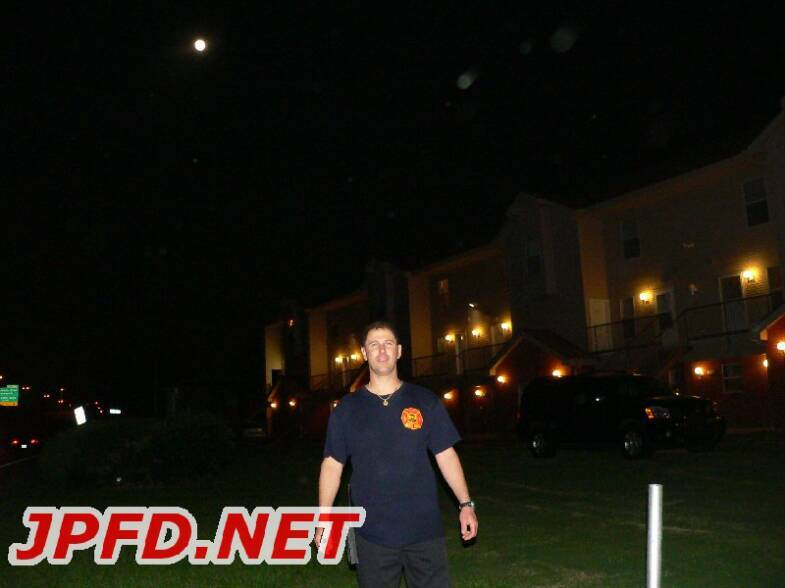 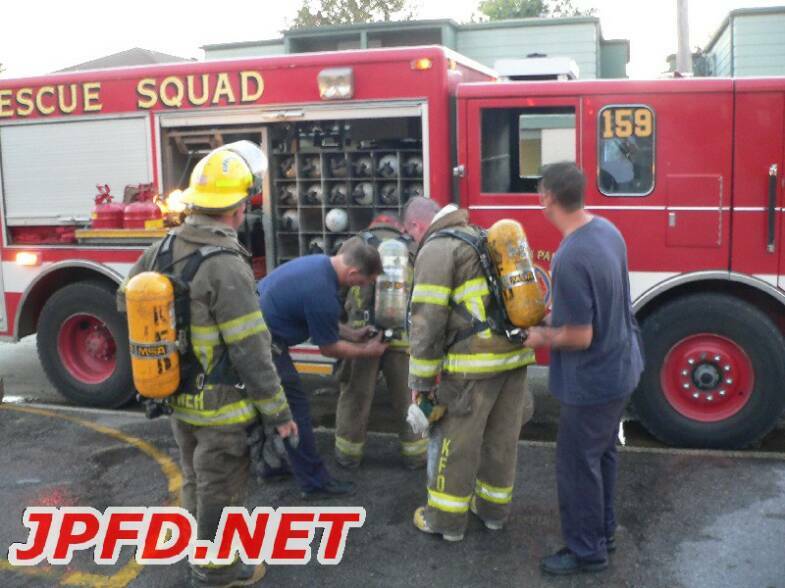 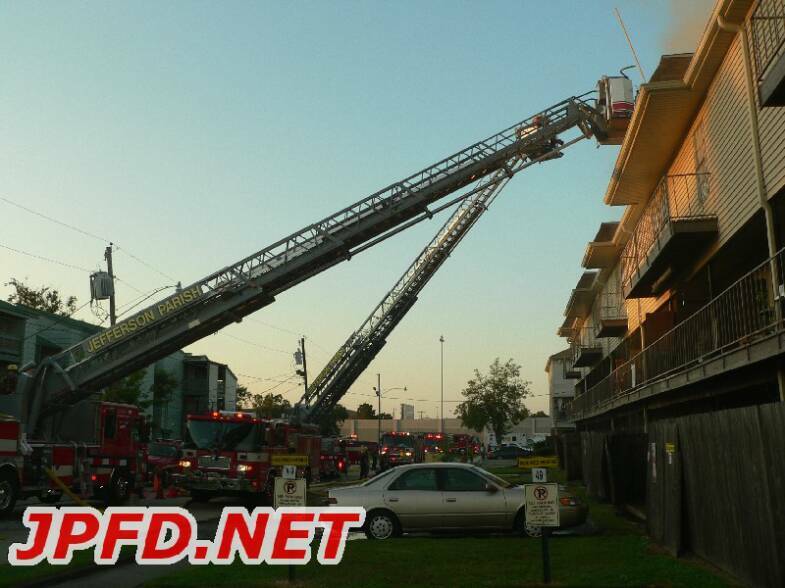 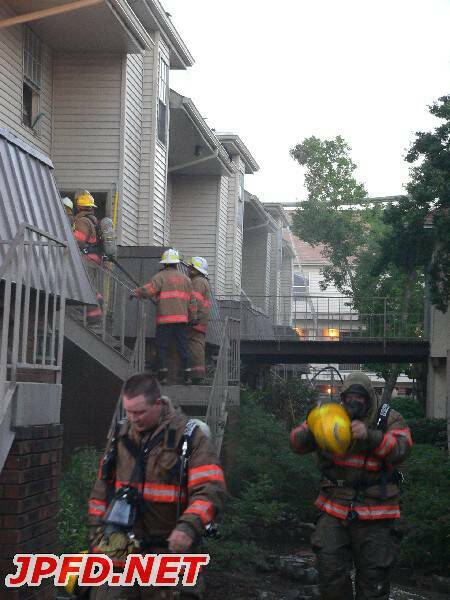 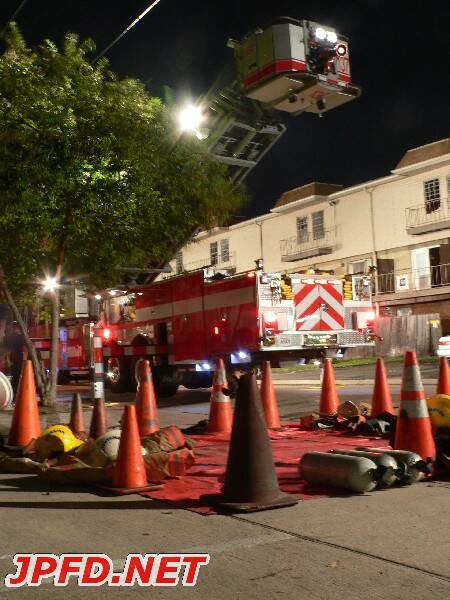 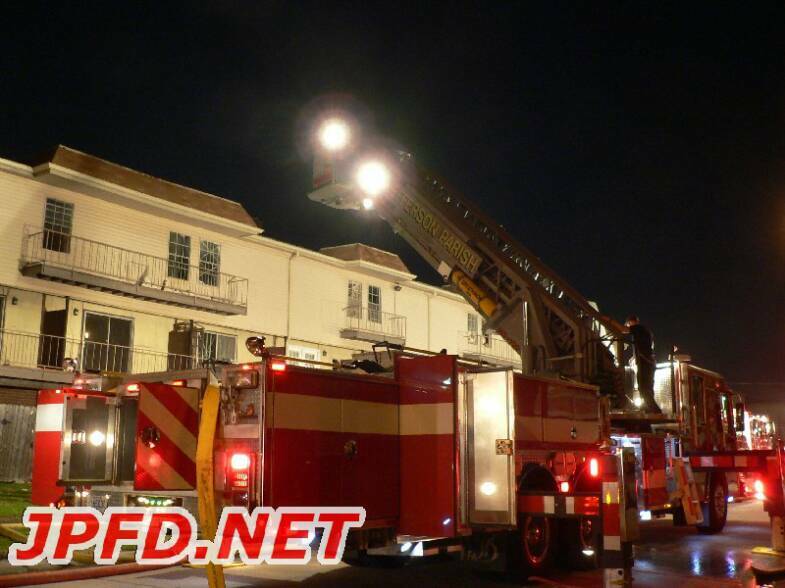 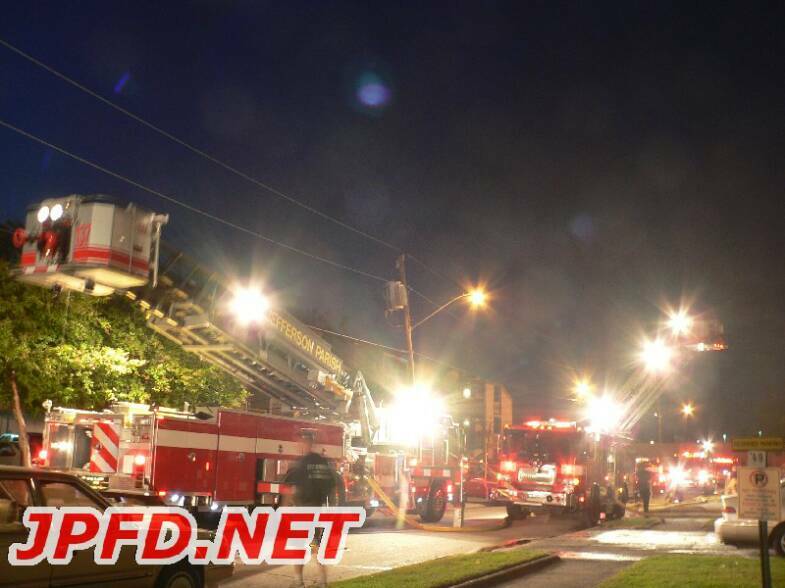 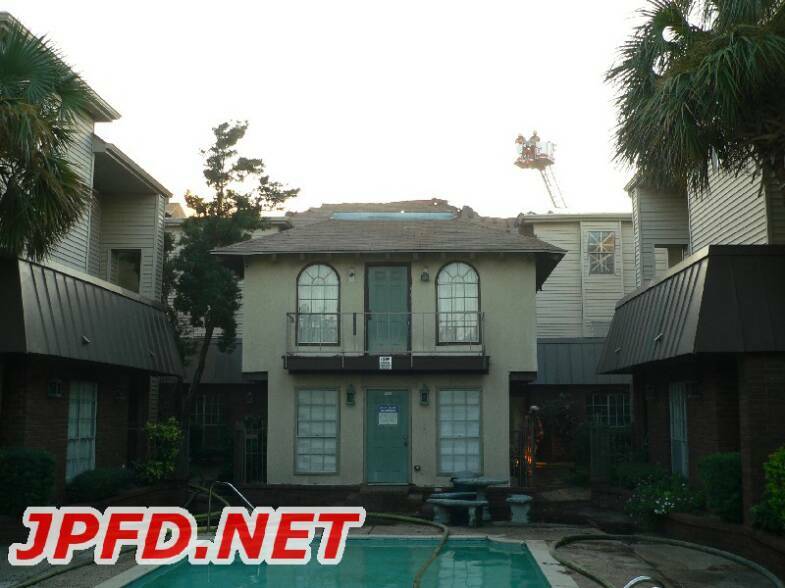 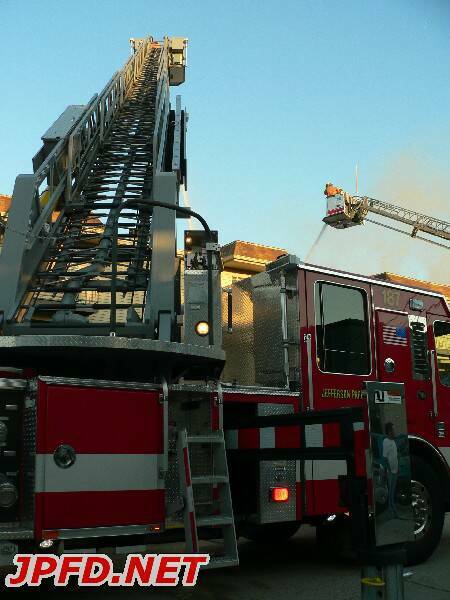 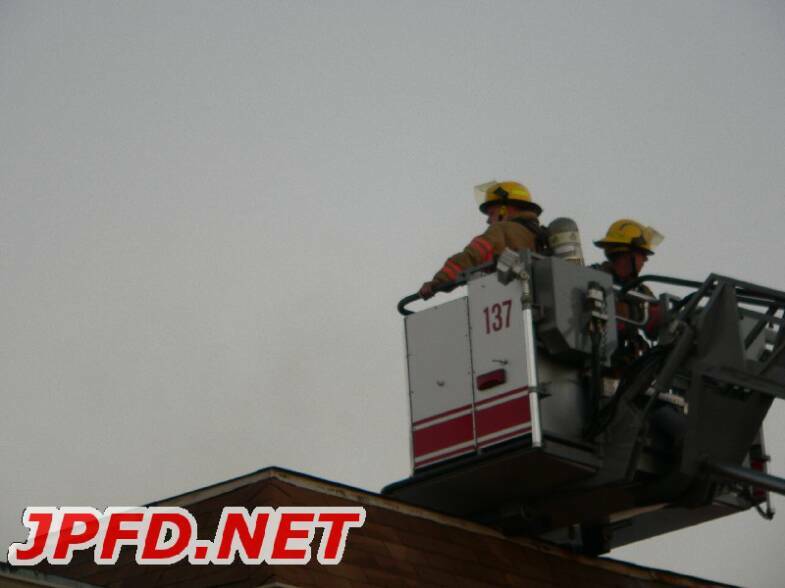 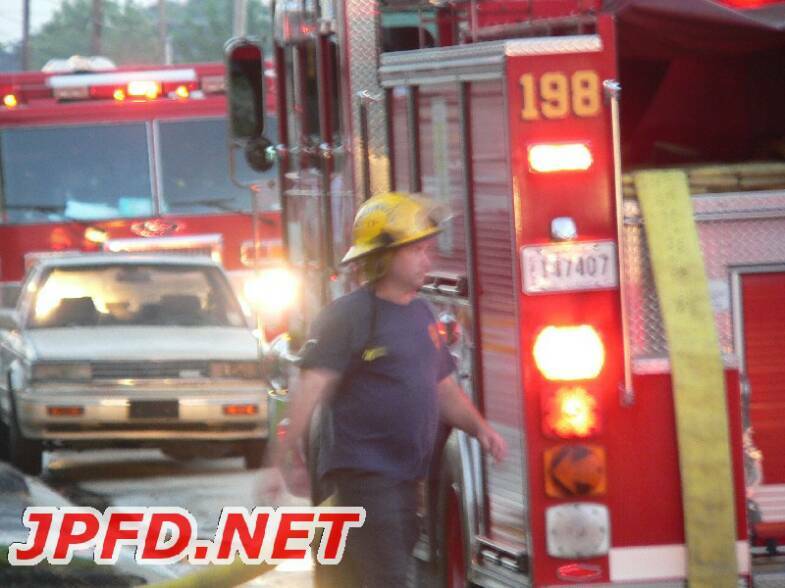 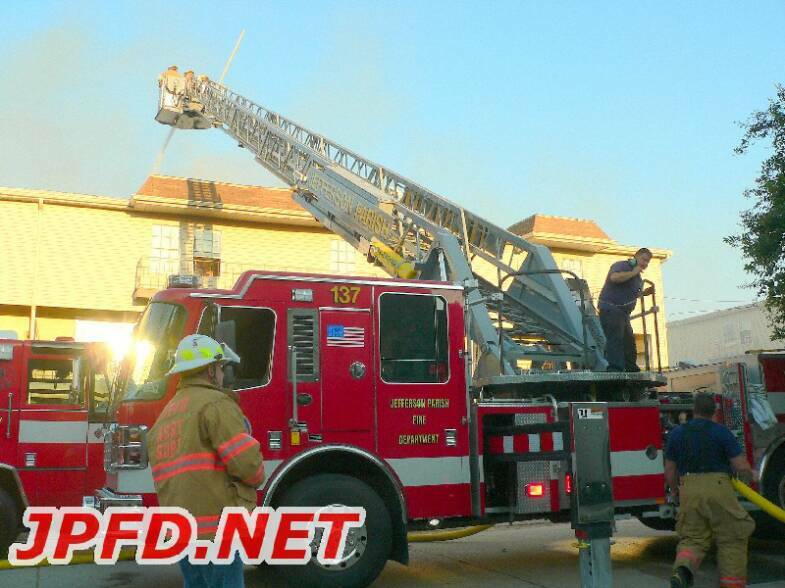 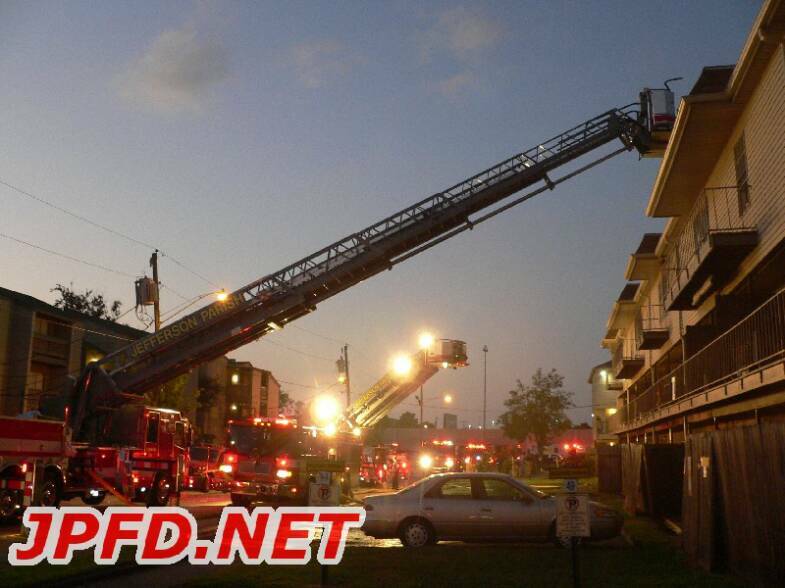 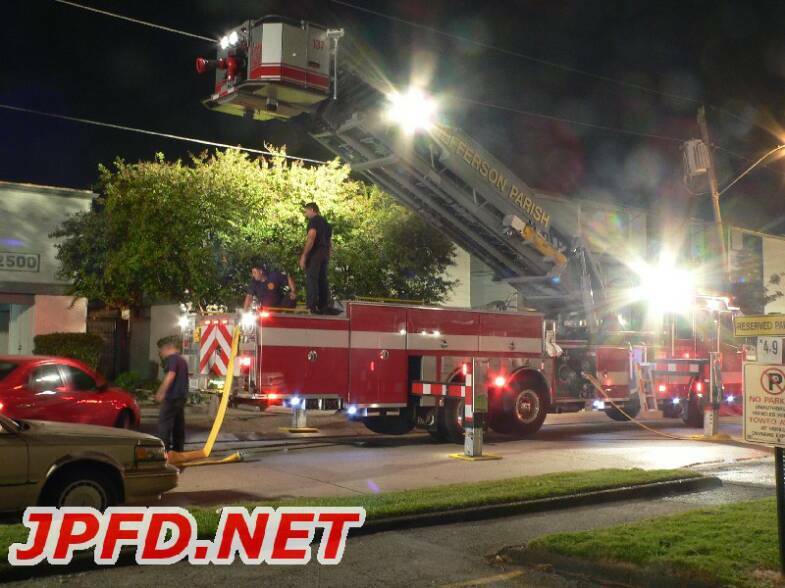 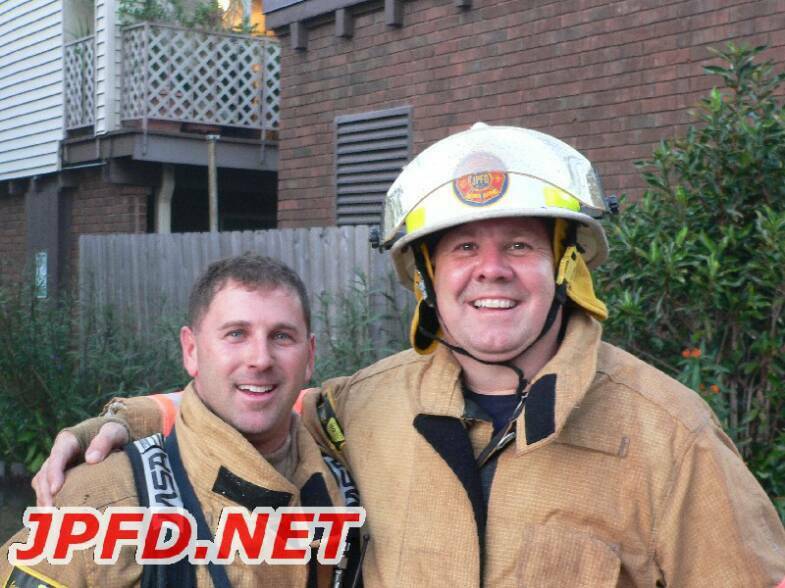 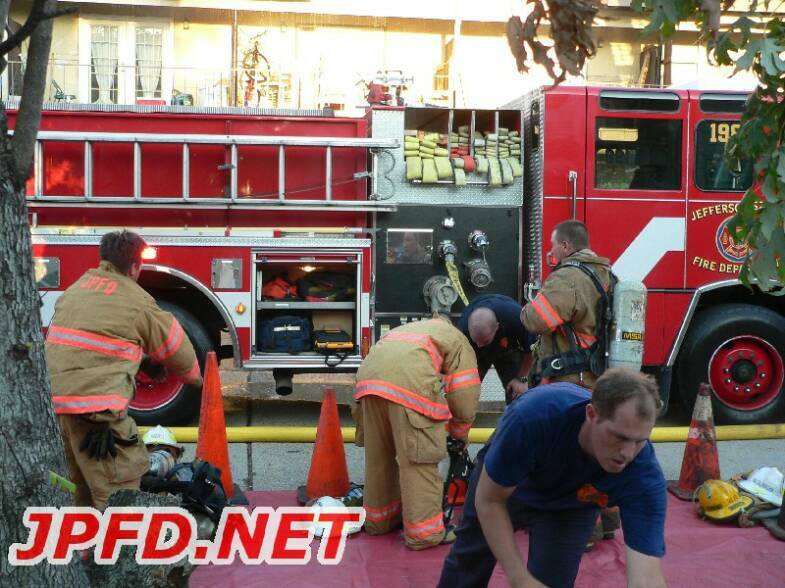 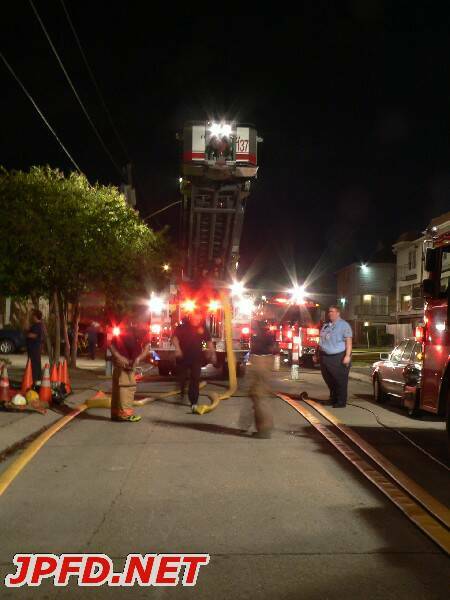 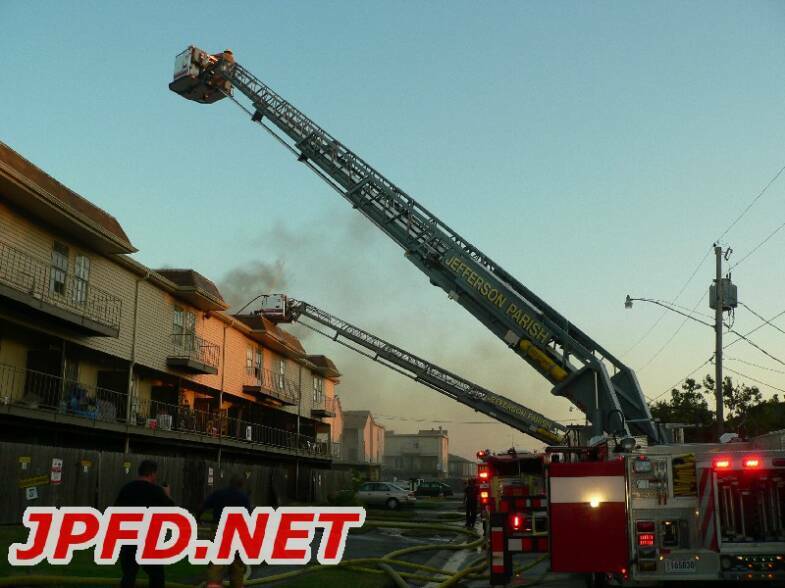 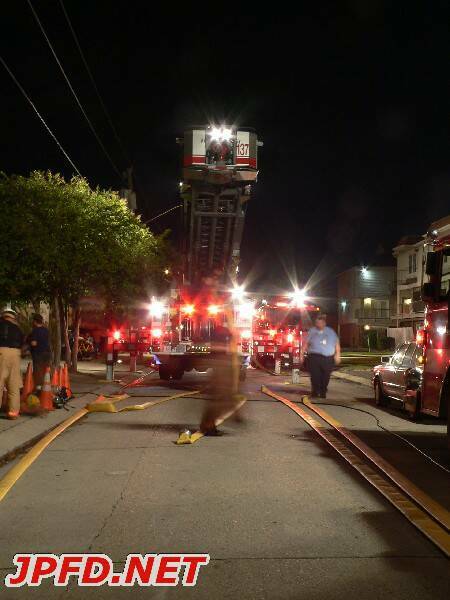 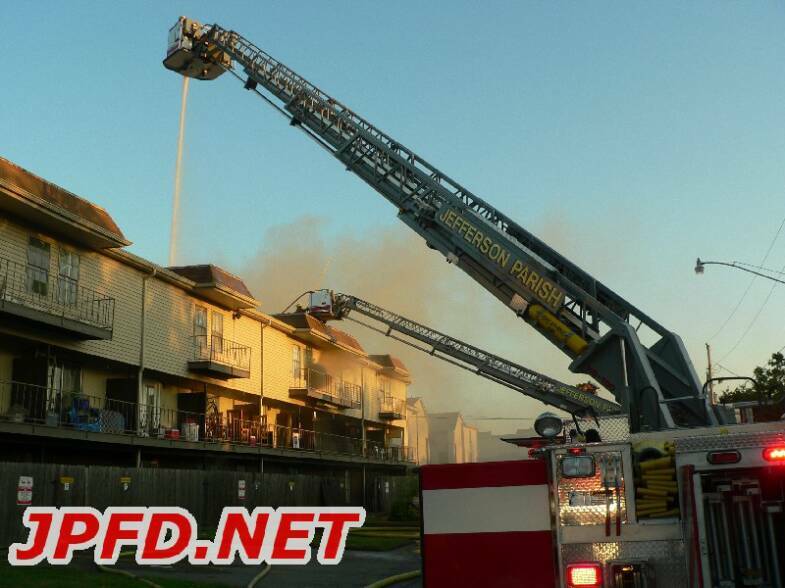 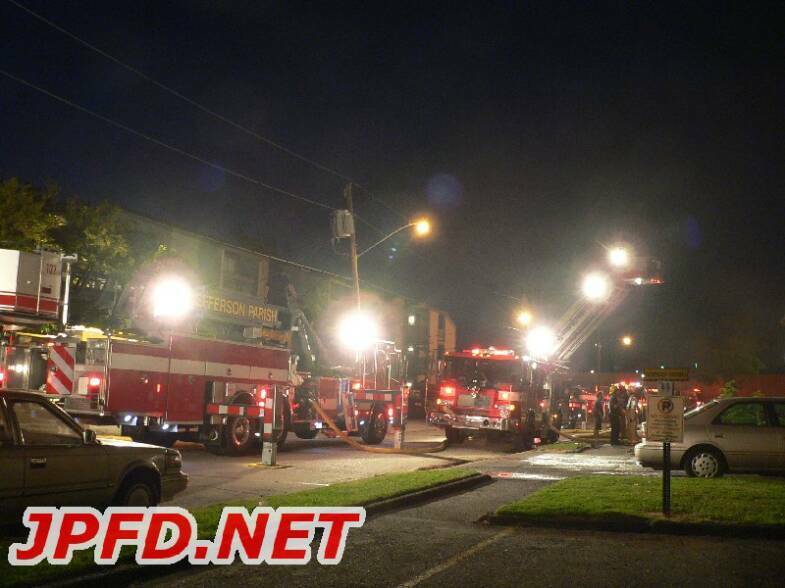 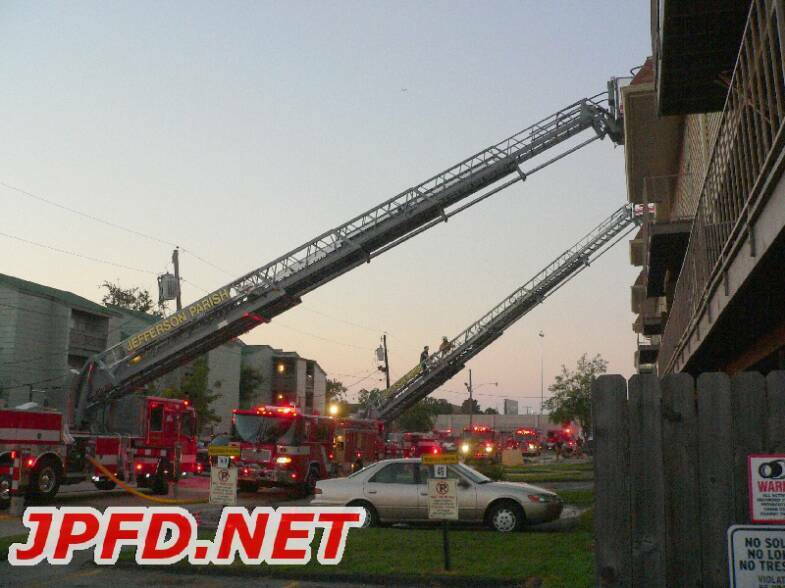 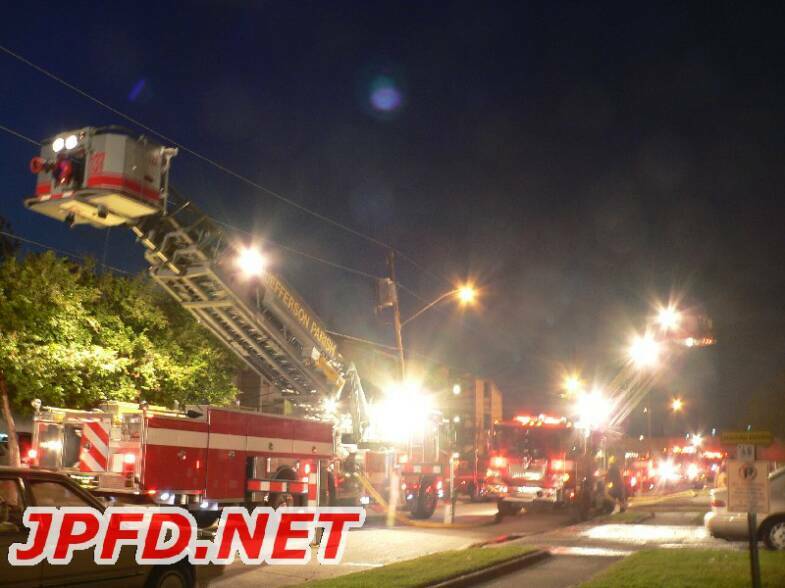 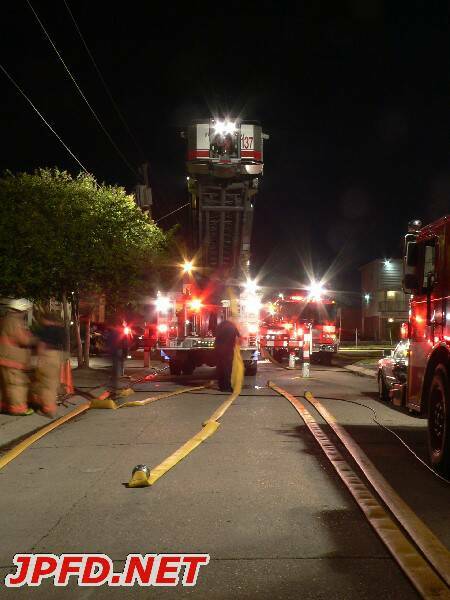 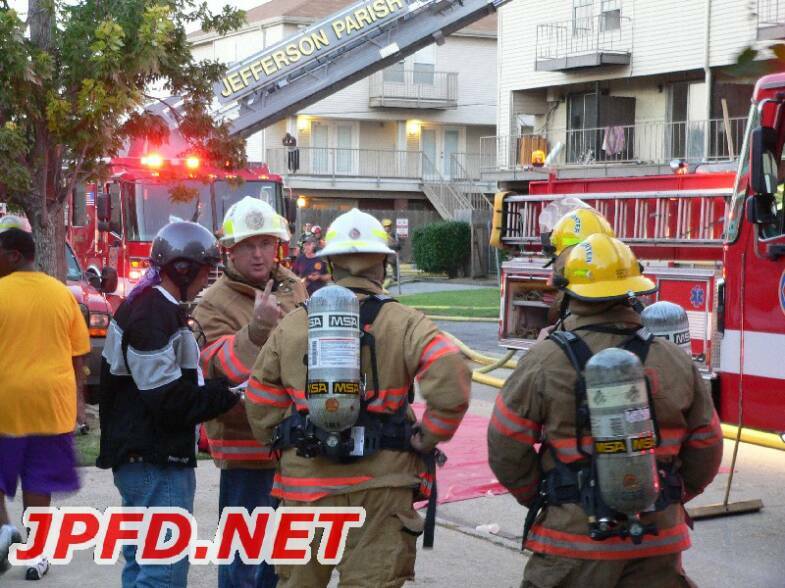 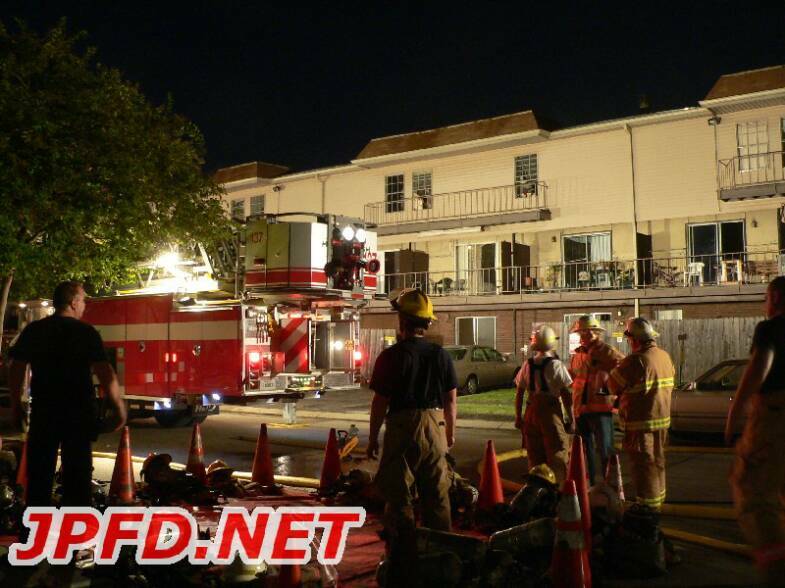 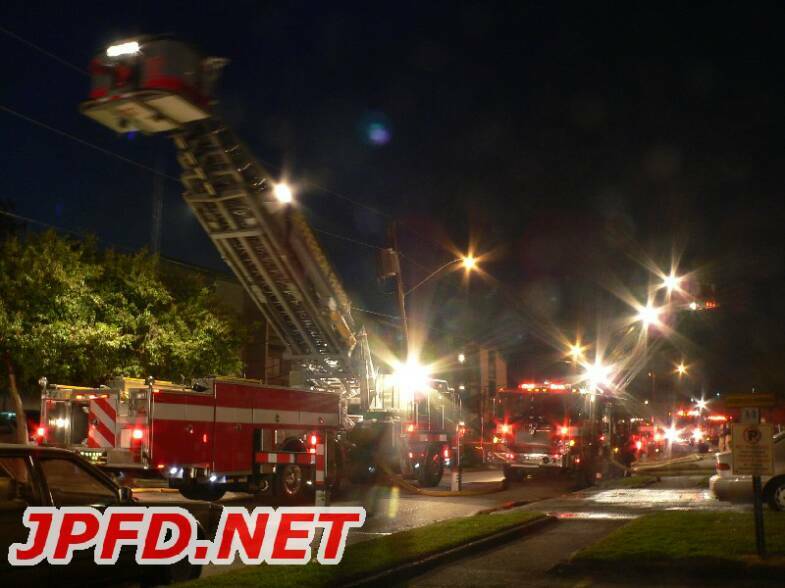 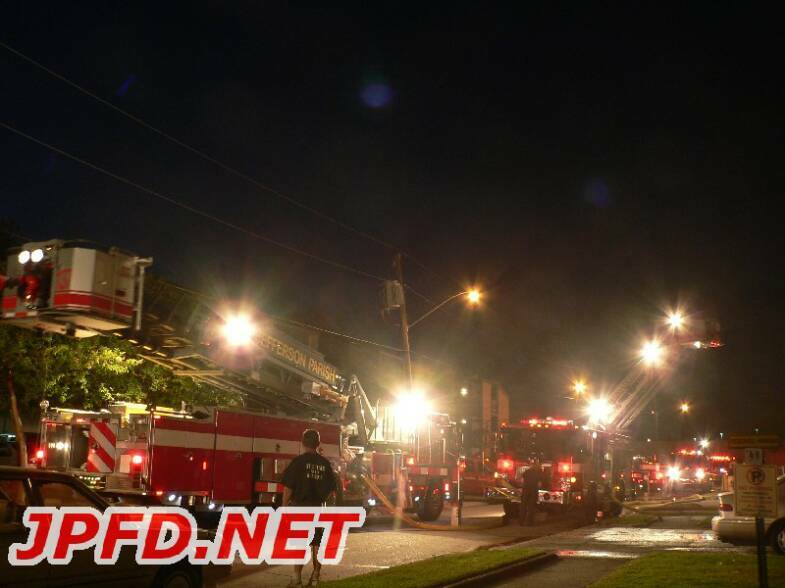 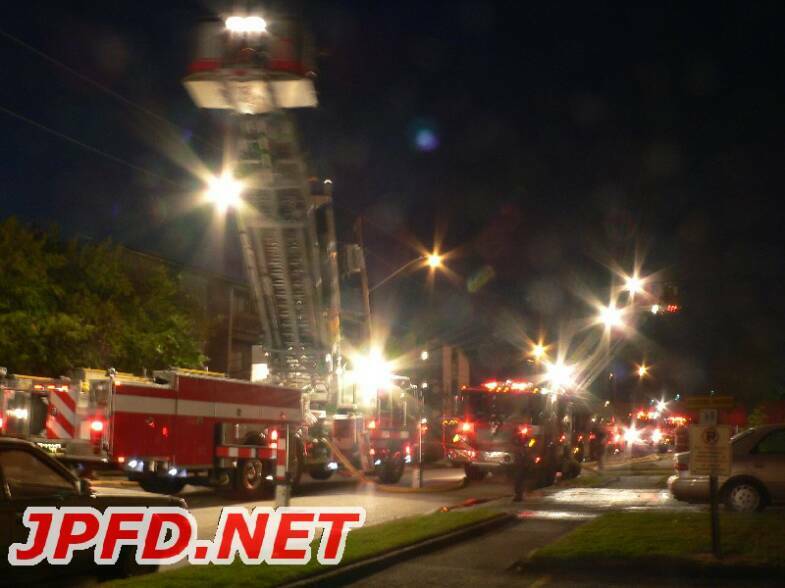 In all over 16 (condo) units were affected by the fire which was started by a roofer's welding torch. 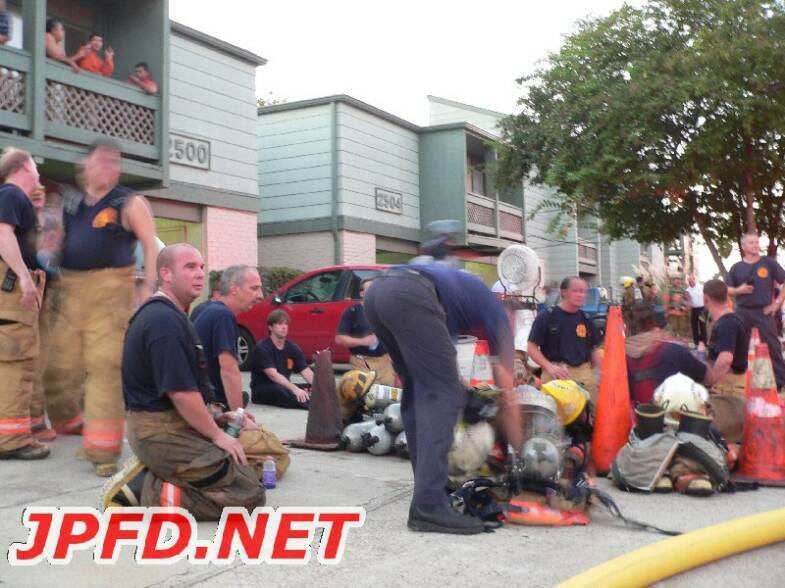 These pictures were taken approx. 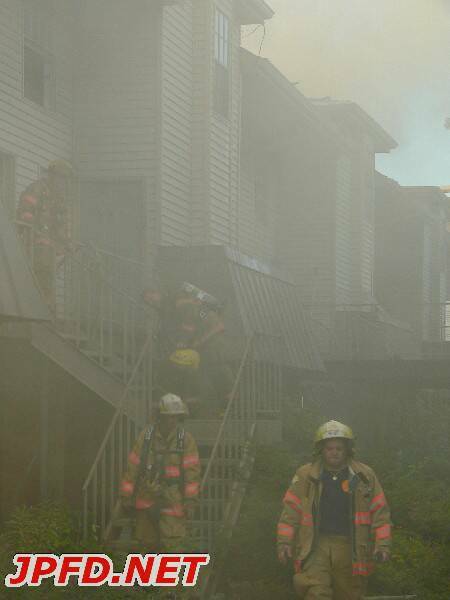 1 hour into the fire. 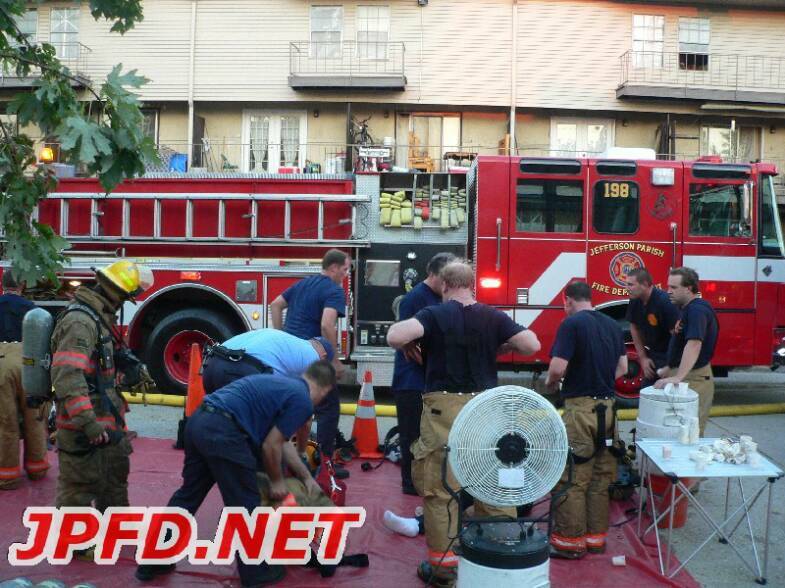 Click here to see video from the incident. 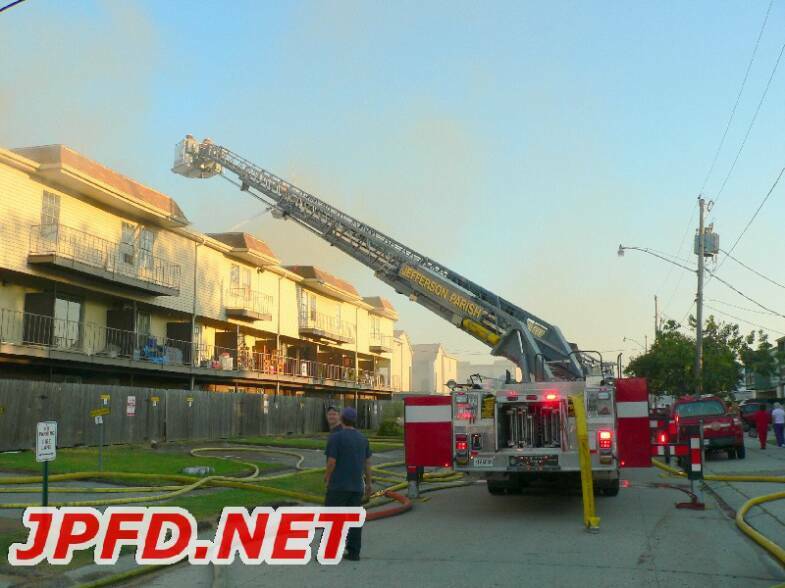 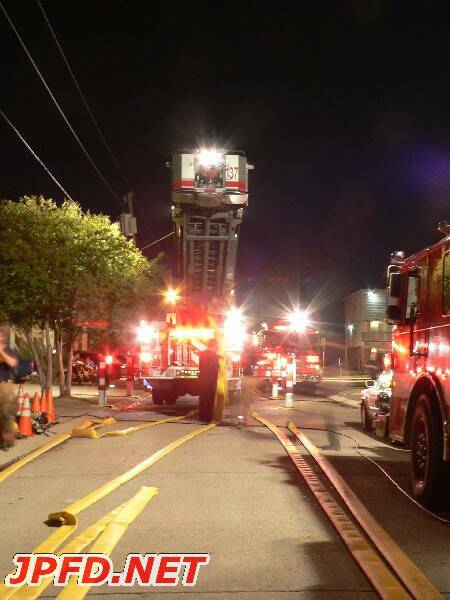 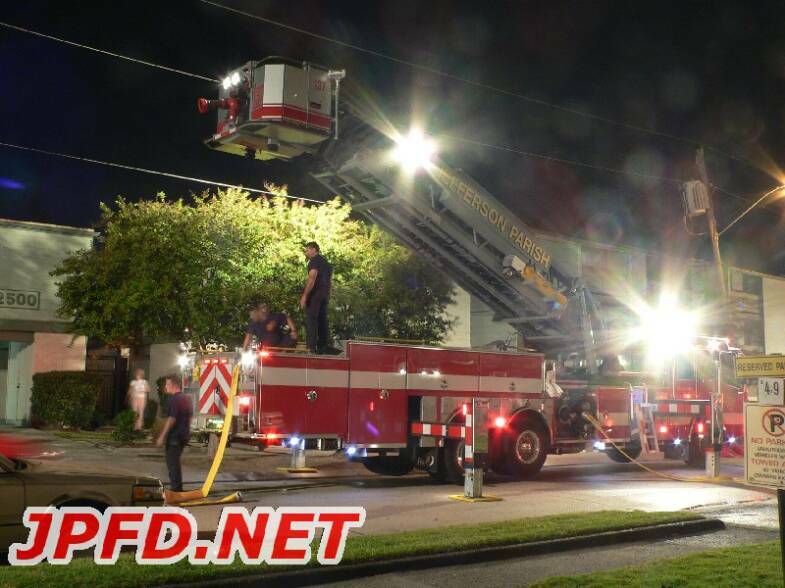 Units on Scene: E118, E128, E138, E148, E158, E168, E178, E188, E198, E378 (Kenner), L117, L137, L177, L187, S159, S169, S349 (Third District), DC140, DC160, AC102, AS 101, Safety, Fire Prevention.